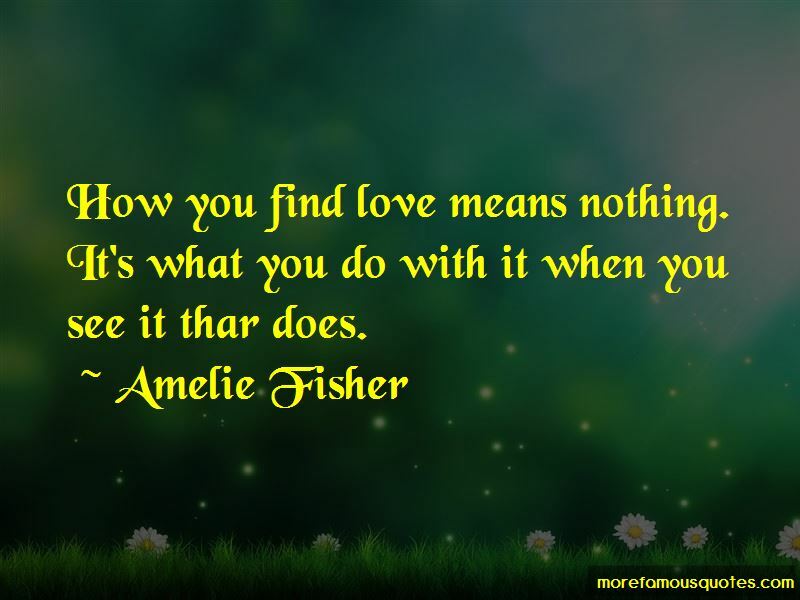 Enjoy the top 5 famous quotes, sayings and quotations by Amelie Fisher. How you find love means nothing. It's what you do with it when you see it thar does. “Greed is a strange, strange sin. All you want to do is acquire. Acquire money, acquire material, acquire time, acquire energy, acquire attention. The running mantra is "I want, I want, I want" but that quickly turns to "I need, I need, I need." Suddenly there just isn't enough time for friends, for family, for anyone. Your goal is to acquire and to make sure what you acquire stays acquired. Your life depends on it. You don't see truth because the truth is shadowed by enormous homes, incredibly fast cars, in lavish spending. Your life no longer belongs to you, but you are blind to it all because those around you are seeking the same. But what you'll come to realize, altogether too late, is that it's never enough. 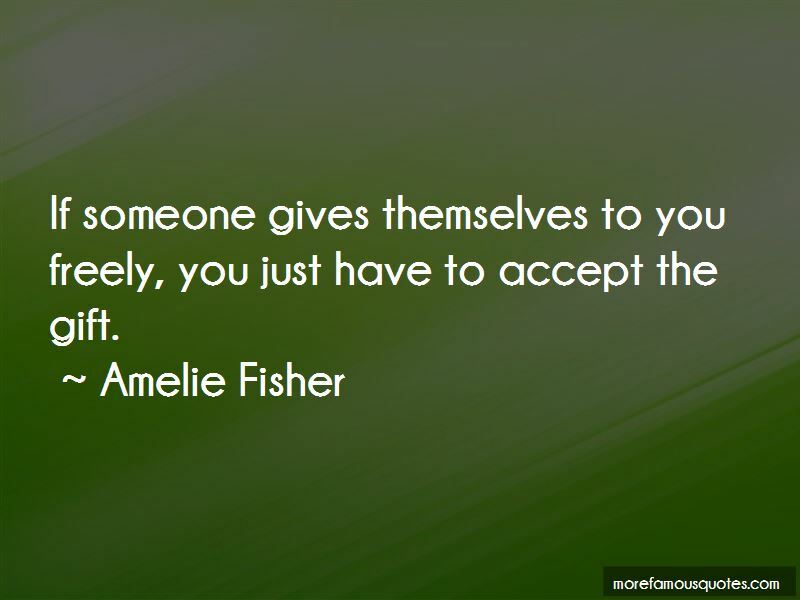 Want to see more pictures of Amelie Fisher quotes? 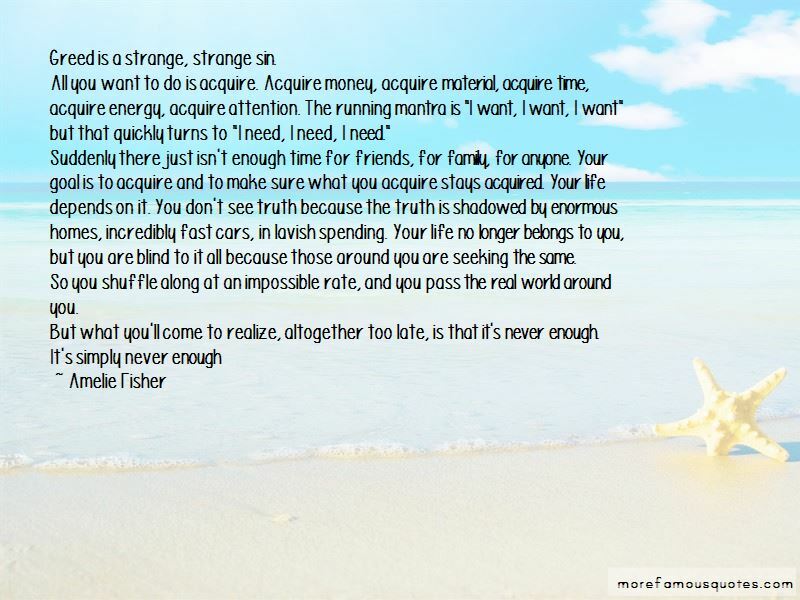 Click on image of Amelie Fisher quotes to view full size.